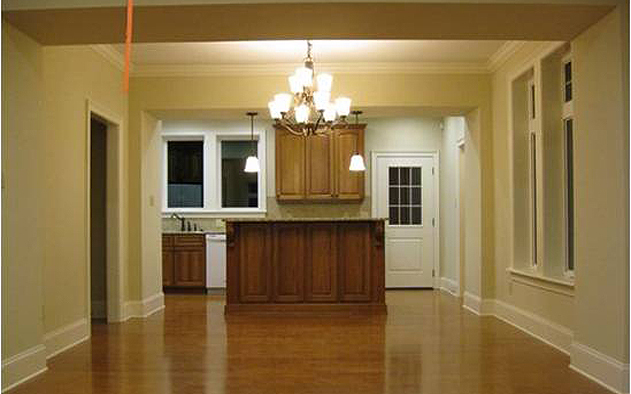 Working with Molex Electronics, the ZEBRA Alliance, Oak Ridge National Labs, with fixtures provided by Ultralights and Solid State Luminaires, we created a side-by-side comparison between CFL and LED in two identical homes. One uses 100% CFL lighting, the other 100% LEDs. The LED house uses Molex Transcend modular products, which incorporate 4W Seoul Semiconductor Acriche 120VAC LEDs to control costs. While the CFL home was designed by a lighting showroom, the approach in the LED home included redressing lighting design to reduce and elliminate glare, focus on delivering light where it is needed, and producing more attractive spaces that also save energy. The end result is a 70%+ savings over the CFL home. The LED home has less than 0.4W/s.f. of connected lighting load. So little energy is connected, that the entire home could have been wired to a single 15A circuit breaker (920W). 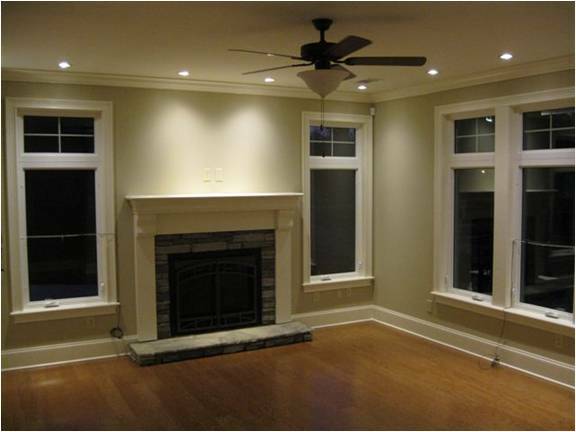 The purpose of this project is to operate both homes with controls that simulate occupied operation over 18-24 months. Over that time the performance of the two homes will be monitored using a sophisticated array of sensors and data aquisition. Lighting is just one small part of the total effort, which includes building materials, HVAC, window glazing, and roofing system performance. There are four total homes, all with identical geographic orientation, within a block of one another. The other two utilize fluorescent lighting, but are different in many other ways, including architectural design. Below are a few of the rooms of the houses to give you an idea of how the combined approach worked out. As one can see, the difference in appearance is noticeable. At the task level, the LED house provides twice the horizontal illumination on kitchen counters and dining table, matches the CFL in the game room and office (not shown here), and provides a more comfortable light everywhere, as the light sources produce no objectionable glare. So, regardless of the LED employed not being a leading edge lumen/watt producer, the savings remain significant, while the end product – delivered illumination – both attractive and comfortable. 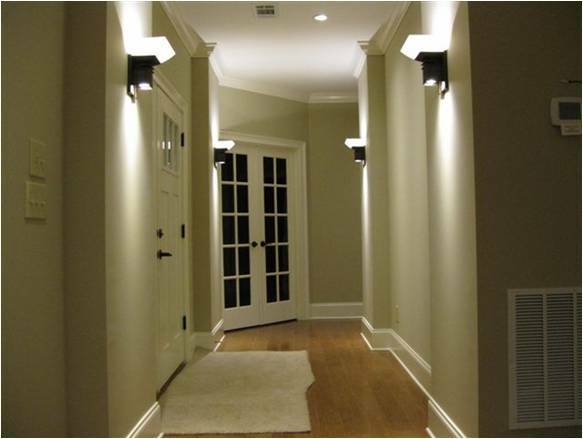 This is an approach that will eventually set LEDs up as the preferred light source in residential application – not matching CFL glare bombs, but delivering an improvement in lighted quality as well as energy saving. According to your pictures, the light quality of using CFL is much better than using LED. Really? And what do you use as to make that determination? I guess if one believes that good light is a space filled uniformly with light like a big bucket (as I know some do) then maybe… I don’t look at it that way at all. I prefer a more dramatic environment that is comfortable to live in, providing the right amount of light on task surfaces without assaulting me with glare from too much light emitted at high angles. I find the glare from the CFLs awful. I certainly would not have them in any home I occupy. In my view, lighting design is not about making people squint, it’s about making people feel at home. Great work on the experiment. The designs use completely different aesthetics, a note re the LED kitchen design, what is the cutoff point on the recessed, the cabinets appear very dark and I would suggest it may be difficult for persons over 50 to have acceptable light levels in the wall cabinet interiors. While there was some difference in cabinet stain, the appearance in the photos was compounded by the difference in light falling on them as well. Both installations provided appropriate light for seeing inside them. 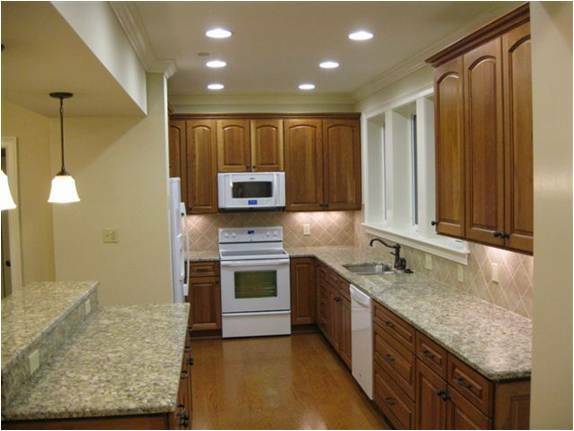 However, the LED installation did not produce the same light levels inside the cabinets as the CFL. Selecting dishes or pots/pans from a cabinet requires less than 10Fc, which the LED source provides, compared to the over-delivery of as much as 120Fc in the upper cabinets produced by the CFL sources due to lack of cutoff and high angle control. Interesting to me how CFL has fewer fixtures and more center oriented positioning of the light. So what is the cost difference to have more wall sconces than one single center fixture, excluding LED cost? CFL looked brighter and to me better in the Living Room. But LED Dinning Room and Entry is superior. No issue with flicker with the LED version? First Gen 120V AC LED had a minor issue with fast moving objects and cameras. The camera shots seem to show no issue. Having all the light on one circuit sounds pretty cool. Might be a critical item for LEDs in general as if the voltage goes to low, plugged in iron, AC cranks on, power grid just droops a little, they could shut off if the voltage gets low enough. I’m into darker living rooms with table or task lamps for reading (reflected in the design), so am not fond of the open office lighting the CFLs produce. As far as costs… well, it;s not a fair comparison right now. There were no LED products for residential use for the 120VAC LEDs we planned for the effort, so all of the products are custom for this particular test. That’s not going to compare well with made-in-you-know-where commodity residential lighting products. However, the down-lights were strandard 4″ incandescent products from FC/SSL, with a small b racket to hold the GU24 socket, so costs, even customized, were under $40. Even with the LED module, the total down light cost was less than $65. Not too bad. The sconces, pendants, and under cabinet lighting are a whole nuther story. No issues walking around the house with the AC LEDs. We’ll be watching and listening to comments on that during the study to be sure. The mill work stain is darker in the LED house – more like a dark cherry, where the CFL house is closer to medium oak – so the photos make the differences in this area seem greater. There are other small differences in the houses. However, the paint colors are all the same. The CFL house images look like there are several wall colors, which isn’t the case. In the kitchen, the downlights are aimable by 20 degrees – and pointed at the cabinets, so when you open the doors, you can see inside just fine. grabbing a dish from a cabinet does not require 50+Fc (which is what you have in the CFL home), it only requires enough to see and accurately identify what you are pulling down. I contend that 15-20Fc is more than enough to accomplish this, which is roughly where we are. I also believe that kitchen lighting should not be so broadly distributed that it intrudes on the living room when switched on. In the LED house, you can have the living room low and moody and still have the kitchen on for cooking. 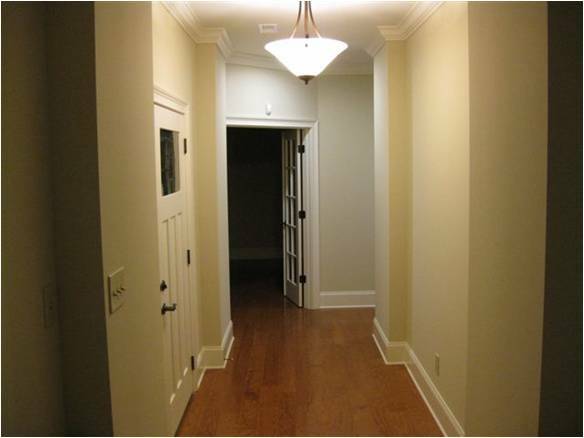 In the CFL house, turning the kitchen lights on actually increases the light level all the way out to the main entry. I agree with the author. Now what is the difference in Watts? Also I don’t know why people want to flood with light every part of their house. Only light up working spaces! I agree that the CFL example you show is not as appealing – lighting is such a personal preference. I like the idea of such a comparison. However – your “side-by-side” examples are both too close and too different to make a valid visual interpretation. It appears that the dimensions/volumes of the spaces are the same or very close. 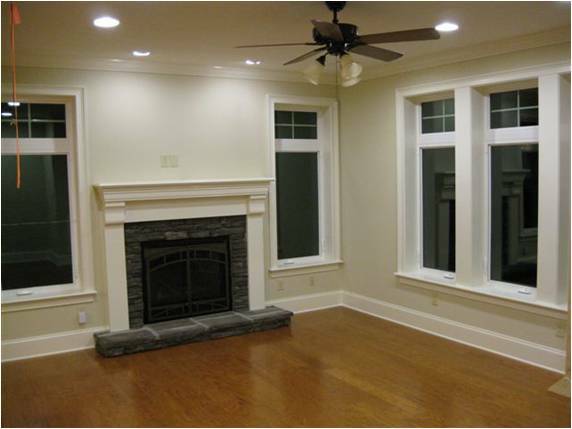 The floors and trim appear to be as close a match as one could hope, (is the wall paint identical color? – CRI differences make it hard to tell). Both examples have similar (night-time?) lighting outside the windows. 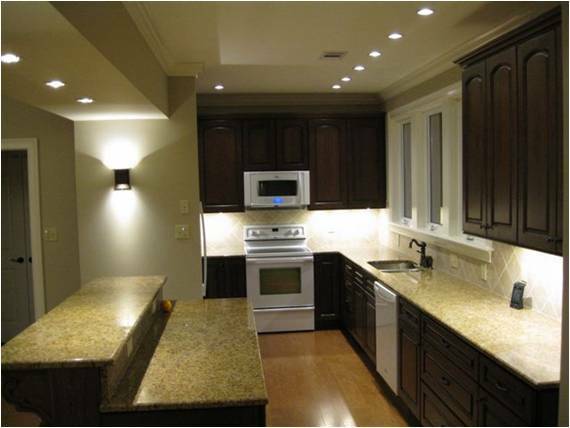 Difference in color and tone of the cabinets and the location/orientation and style of the light sources make visual comparisons difficult at best. 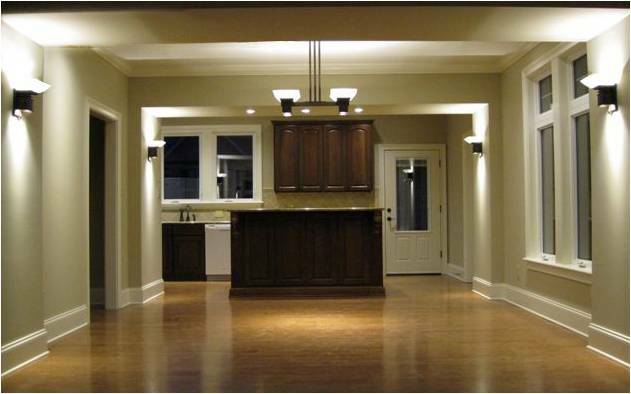 Of course, using a dual-array of downlights as the main CFL source in the kitchen will/does over flood the space creating glare and discomfort, and the pendants over the bar lend no interest or focus on that gathering point – you pit that treatment with a completely different handling of point sources in the LED example. Similar differences in sourcing occur in the other three spaces. In general you used only downlighting in cans or pendants for the CFLs vs sconces and fewer, more focused downlights for the LED examples. The dining room CFL chandelier is very over-lit. I suspect the CFL bulb choices could be better – combination of warm and cooler CCT with lower wattage and sconces in place of pendants or chandelier would change the CFL glare considerably. I assume you did not intentionally stack the deck – would you comment on how you make those decisions on light source and light levels? Thanks! The homes are essentially identical, the wall color is the same in both. The CFL lamps are 2700K. The cabinet stain and counter colors are slightly different, but the same basic wood. I did not have any influence or involvement with the CFL house, or its lighting design. This was accomplished, as stated, by the lighting showroom and contractor, like most production homes are. There is no deck stacking being done here. This is an honest comparison of what is commonly accomplished in residential work today, to one designed using a simple LED with careful consideration of design and visual performance and comfort that is seldom applied to residential work today. Yes, the CFL house could be improved. In fact, the thesis here is that design applied to residential is as much a part of improving efficiency and appearance as selection of the source used. The layout in the LED house was predicated on the fact that we were using 4W 120VAC LED sources with only 130 lumens output and a 25 degree beam pattern. placement and focus of what little light I had to work with were necessary to realize a desirable result. The CFL house can through light everywhere and waste it at will, and still land workable light on the target surfaces… which it does. I propose that the condition we find ourselves in residential lighting is a product of decades of professional neglect, and simple lamp-based retrofit mentality to energy saving. The end result is we are wasting energy through poor design as much as we are from bad lamp choices. This is in need of redressing, or any further application of lamp on lamp retrofitting will result in poorer and poorer performance from high performance hardware being applied improperly. In regard to mixing CCTs in any environment, I am not an advocate of the approach. It generally results in odd coloration, and does not produce enhanced CRI performance, regardless of the urban myth otherwise. the coming soon feature of interoperability/ addressabilty.So they will become the standard lamp of choice- Cfls days are numbered in my biased opinion,speaking as a SSL zealot. being mfg by a concern using top teir components who have deep pockets.And great IP. The purpose of the post was to show the project and explain the approach. The CCT of the CFL house was 2700K @ 80CRI, the LED house was 3000K @ 82CRI. Their was no intent to match footcandle for footcandle anywhere – as was noted in the post and subsequent remarks, the LED house was designed to deliver appropriate light levels, using focus, rather than filling the space with light. I am not interested in fighting a one-on-one war with what I consider an unattractive lighting system that generates more glare than usable illumination. However, for those so concerned, the kitchen counters are illuminated to 39Fc, the game room to 16 Fc, the dining table 39 Fc at its center. The CFL house kitchen counter was 24Fc, the dining table 14Fc, and the game room 18 Fc. However, in the CFL house, there is considerably more light delivered all over the room, which consumes energy and provides an office-like environment. More detailed information on this project can be found in the 12 page ACEEE white paper on the project, in the conference proceedings from the summer study program, and in a presentation to be given at LEDs 2010 in San Diego October 26. See the link below for a presentation on the project results for more information as well. If you would like more on this, please contact me. I will be happy to provide you any information you might want. Interesting to read your thoughts. I have just supplied a number of LED downlights for a project (fixed angle in this case) and one of the comments from the end user was that their open plan kitchen could be brightly lit without light spilling out into the rest of the space. Of course we might have been able to achieve a similar effect with low voltage but we were using 9 fittings using 40W instead of over 300W with the low voltage. I would still maintain that the LED fittings gave a much cleaner cut off than the low voltage. Part of this is probably due to the white cowl we recessed the lens into. Will happily send photos to anyone who is interested. Can you mix CFL bulbs with LED bulbs for lights on the same light switch? Assuming the switch is just on-off and not dimming, you can mix the two on the same control without any problems. While Lutron offers a dimmer that controls both LED and CFL loads, it’s not advisable to mix the two on one dimmer, as their can be odd electronic interference problems between the devices. CFL has only one advantage over LED : price.This one thing counters every advantage that led can offer.Because led does not fit in the budget.